Here is my story: This podcast starts with a bit of frustration directed towards facebook. We are happy for every like on facebook, but for those of you who have liked us to see our posts, you will need to go to our facebook page, and click on See First in the Like button. While we do not have a corporate office assisting us with advertisement, we do depend on social media we can have control over. My goal was to spread the word to our followers, and it was squelched by facebook. Let's move on to fun things! Saturday was a big day in Columbus! The Columbus Food Truck Festival was going full force! I headed straight to Schmidt's to get a cream puff! See above photo for an image of me waiting in line! Burke and Allison each got a fantastic cup cake at Gigi's Cupcakes. They also have a brick and mortar store next to Carfagna's Italian Kitchen, who we visited last week! Burke buzzed around taking photos of every. food. truck. Yes, he did. That's his thing, man. Thank you to our friend, Vanessa, for meeting up with us! It is always good to see her! From there, we headed to the Columbus Convention Center. My daughter, along with her friend Zoe,' are active cosplayers! And what better way to irritate your daughter than 1) just being a mother, and 2) being a mother when she is trying to do her thing. See above photo for child with blue hair. 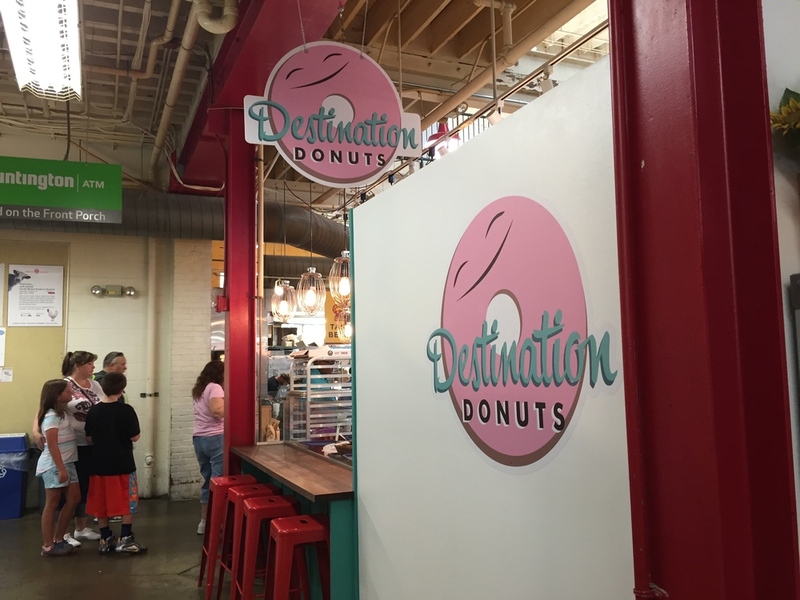 Absorbing enough teen glare for the moment, we walked across High Street to the North Market for Destination Donut! The most fabulous donuts! Just look at how beautiful they are! And, bonus!, you can sit at the counter and watch donut preparations while you eat yours! 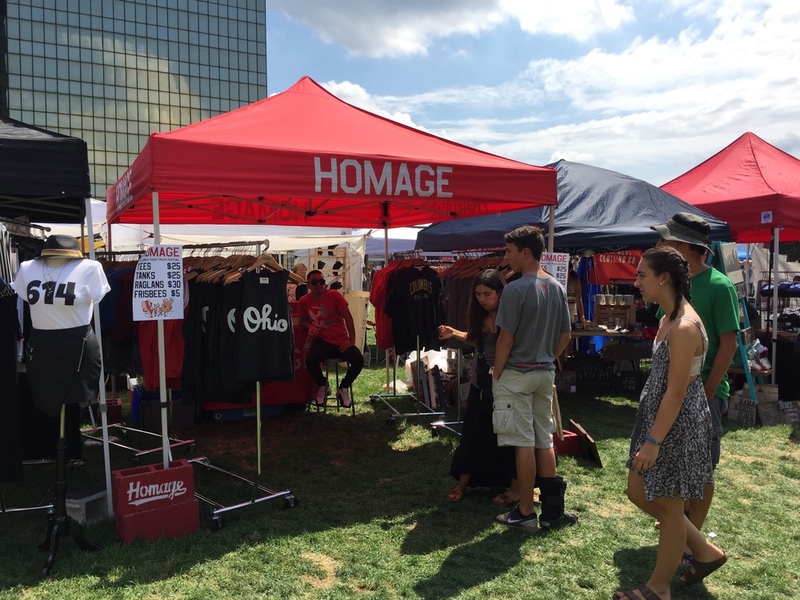 On a serious note, the Columbus Food Truck Festival benefited two important organizations here in Columbus. The first is the Marine Corps Family Support Community. This organization has reached out to Marines with over 10,000 care packages to date and with 75-100 handmade quilts per year. And believe it or not, the Marine Corps Family Support Community has provided much more than care packages and quilts! Check out their website via the link below for ways you can support this organization! The second organization which benefited from the festival, is Music Loves Ohio! From their website: Music Loves Ohio is a non-profit organization dedicated to providing opportunities for children of all backgrounds in central Ohio to learn, perform, and record music. Throughout the year, they offer workshops and activities, and also donate instruments to young children. A link is provided below for more info! Let's talk about what is coming up in Columbus! On our way to the car Saturday, Burke, Allison and I popped in to the Urban Arts Space located off of Town in the old Lazarus Building. By the way, do you love the Lazarus smoking sign above? I am feeling sassy and had to include it! The Urban Arts Space is, from their website: an exhibition and non-traditional performance space located in the heart of downtown Columbus, between the Columbus Commons and the Scioto Mile. Founded in 2008, Urban Arts Space serves as an arts laboratory for local, national, and international artists and as a professional launching pad for students. Coming August 25 and running through November 7 is the Open This End exhibit, featuring artwork from the collection of Blake Byrne. September 5th & 6th is the Fashion Meets Music Festival. 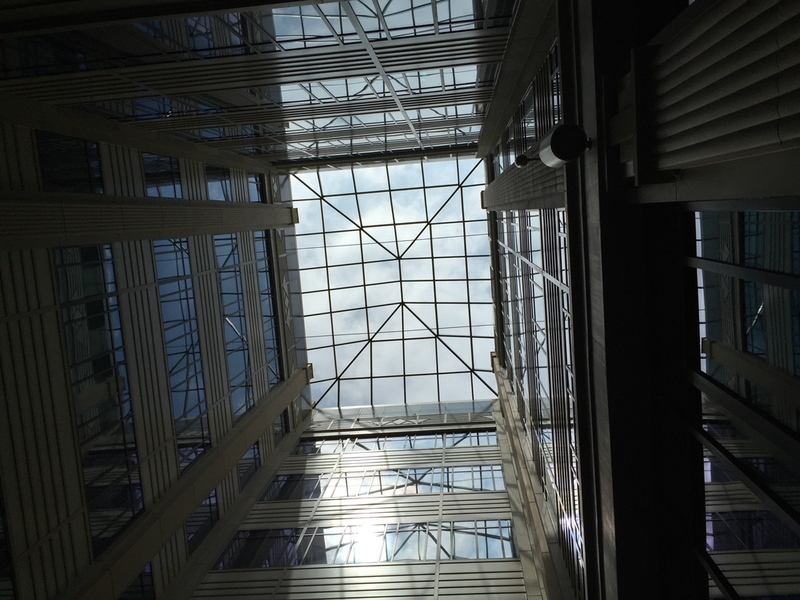 Located in the Arena District, there is much to see and do! Check out their website for all the info!